The G-SEI live tournament in 2015 has been accomodate in Como at the University of The Third Age. As the past year, the tournament gives great opportunities to meet other italian chess programmers and talk about girls chess programming. My very first partecipations is dated back to the 2014 where I first played with the 2nd release and I got a good rating score thanks to an incredible bug! However, durint the past year I havent worked to the engine except for an annoying bug that made hasty decisions in long sequence of capture-recapture. Another known bug happens while looking on the opening boog that sometimes AdaChess gives his queen without asking anything in return..
Only by fixing that bug and avoiding opening book I get a stronger engine (about 50 elo points more). However, other italian programmers have improved ther engine much more than I did and they played deservedly better. I got the 7th rank on 9. AdaChess didn’t any sensational mistake nor I found any kind of bug in code. Instead, it played as usual and gives everybody a funny match against Neurone where the engine promoted as knight and won the game! I should say thanks to the other programmers that always helps me to understand how to make a better engine. The full rank as well as the PGN of the games are on the g-sei website and an italian summary written by by Luca Lissandriello is “Pedone fa il bis” on the same site. There you can find also a selection of the nice pictures take during the event! 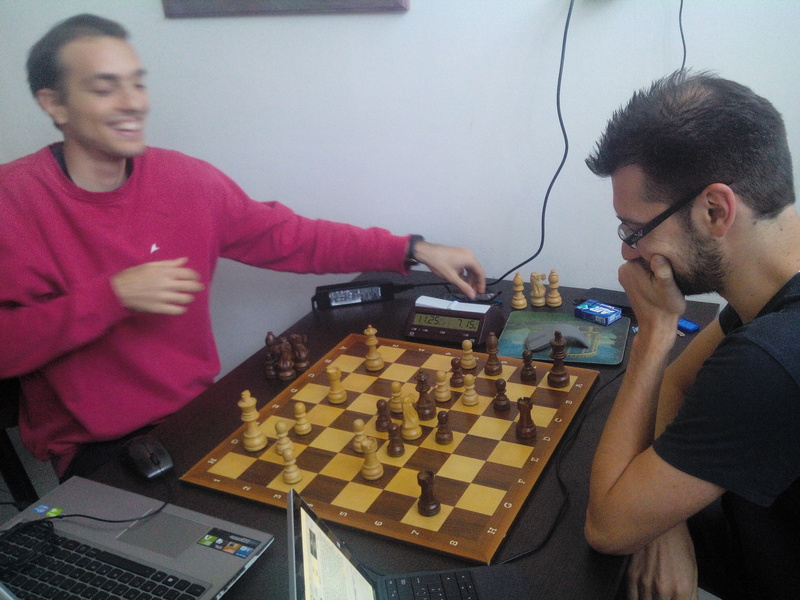 Ps: This year the G-SeI had one more guests with us: Alex Morozov with his engine, Booot, that is currently the strongest chess engine written in non-C-like language. Thanks Alex to share your passion with us!